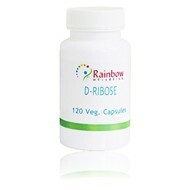 D-Ribose is a new product aimed at supporting cellular energy production and normalising diastolic cardiac function. This product is gaining attention among the worldÃ¢€â„¢s leading cardiologists as a way to optimise heart energy production among athletes and to achieve lasting cardiovascular health, it is reported that D-Ribose can help patients suffering from coronary artery disease, congestive heart failure, peripheral arterial disease, and how it may help in conditions such as fibromyalgia and chronic fatigue. Doses of D-Ribose usually result in symptoms improvement very quickly. If the initial response is poor, increase the dose. Follow the directions on the product label. Take 6 capsules a day, more when excercising or in times of extra need. Doses of D-Ribose usually result in symptoms improvement very quickly. If the initial response is poor, increase the dose. Follow the directions on the product label.